Bandai will release the following Pokemon figure BW Swing movie version in July and August 2012. Will replace the image soon. 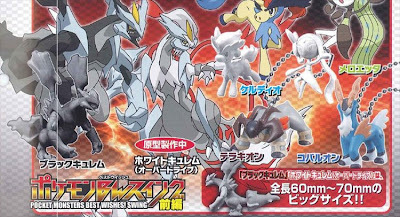 As for previous Pokemon BW Swing, please see this article. 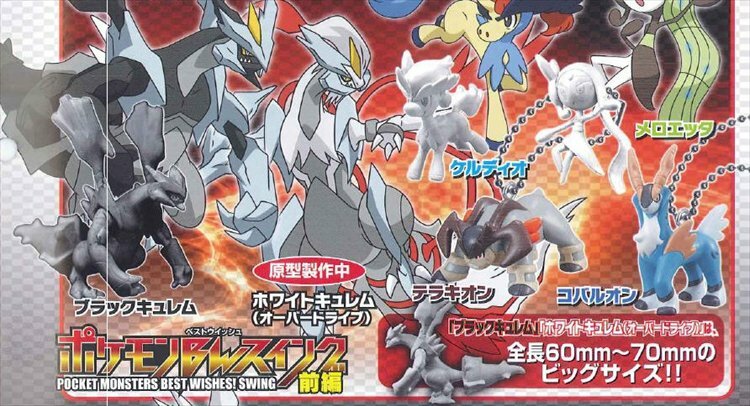 08 Apr 2012 : Added the temp images, thank you to ToysLogic and @denkimouse. 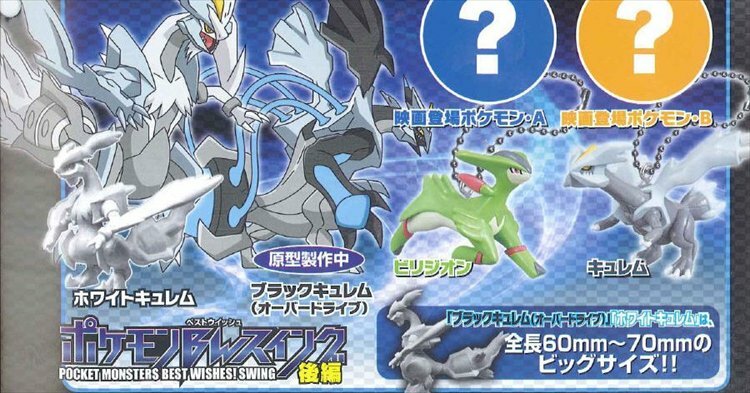 Meloetta already has a toy in the first set, so even if Pokémon A or Pokémon B is Pirouette Forme, the other one must be something new. what if its just pikachu in a different amazing position?